Side note: Does anyone else have the problem when there is the usual 3 for 2 offer on make up in the drugstore and you find one item you want or need and you’re suckered into finding two more just for the sake of it? My make up obsession is so deep that I literally am standing infront of the crazily lightened make up stands trying to find atleast one other product I don’t already own so I can make the most of the offer? Just me? I hope not. 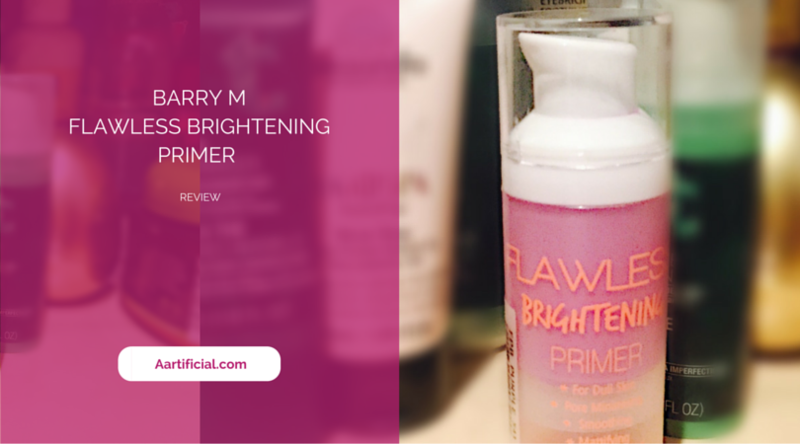 Well I popped the Barry M Flawless Brightening Primer into my basket first and was so excited to give it a go. I’m a newbie to all the colour correcting cosmetics so thought I would see what the hype was about and try out a purple toned primer. And I am so happy to say this ticks all the boxes. 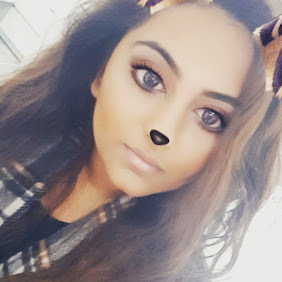 Don’t let the purple shade throw you off because once applied the colour easily blends away and you are left with such a natural glow to your skin. The primer leaves a lovely smooth, almost mattified finish and makes my foundation application such a joy! I’m torn between this and my L’Oreal Infallible Primer at the moment because while my beloved L’Oreal Infallible adds such lovely hydration and makes my make up last all day, this Barry M Primer gives such a smooth, fresh finish and does half of the work my foundation is meant to do. I know Barry M do other primers from this range. They have an Original primer which is meant to be great for mattifying and smoothing any fine lines whilst the green primer is meant to be the ultimate Colour corrector and get rid of any blue or red tones on your skin. I’m yet to try the other two but if they are anywhere as great as the purple brightening primer I’m sure I will love them! I recommend giving this a go! What are your favourite primers on the market at the moment? Have you tried this or any other Barry M primer and what are your thoughts? Let me know below! Ohhh this sounds like a really good primer! I love the sound of the colour correcting one so I'll be sure to check that our next time I see a Barry M stand! I always find myself looking for the other two products in the 3for2 deal as well, so it's definitely not just you! Great review! Thank you for reading and commenting! Definitely give this a go, I can see and feel such a difference when I use it! Oh thank God I always feel like a right numpty standing there for a good 10 minutes picking more products I don't need!